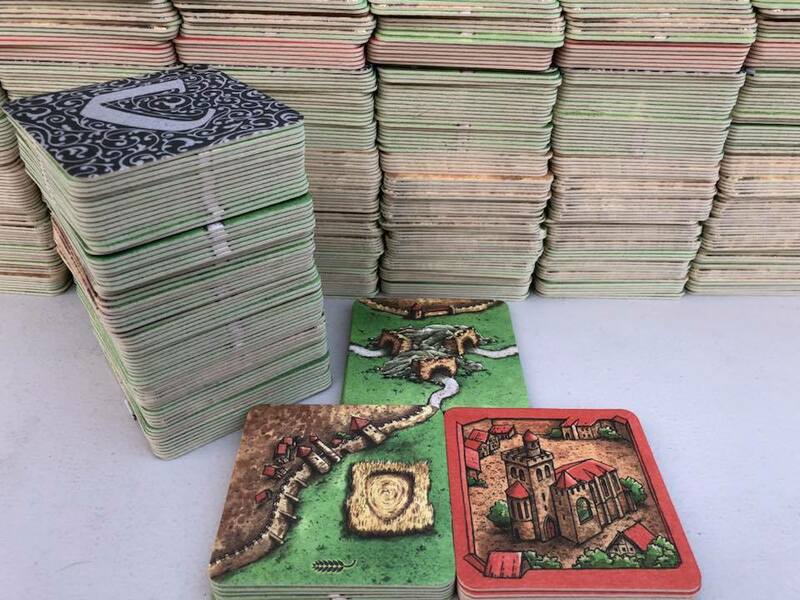 After more than 3 years, it was time to dig into storage and sort out the remaining sets of Carcassonne Coasters. 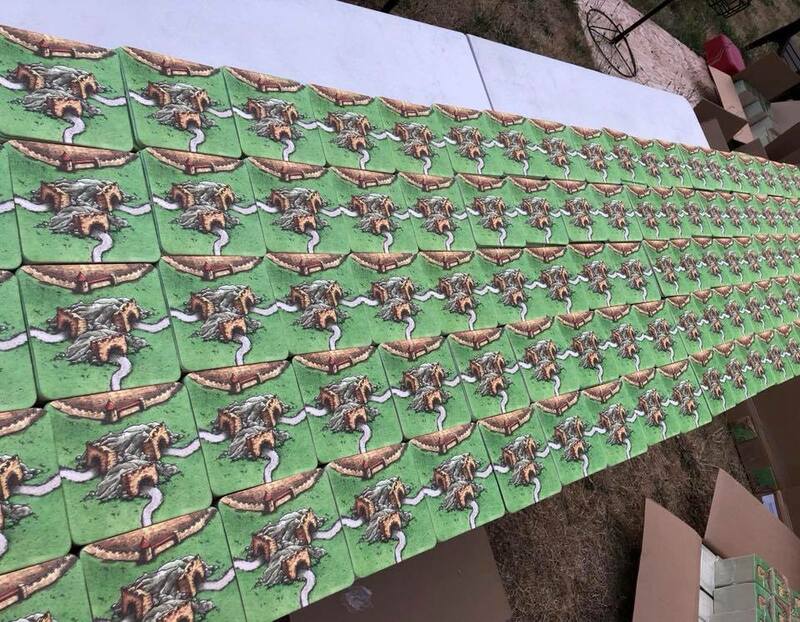 You are looking at the last 100 sets in existence, and man was that a long day! If you or your friends are interested, you can email us at CarcassonneShoppe@gmail.com to snag a set for $25 + shipping! Sets will include the original 72 base game designs, Corn Circle I, Tunnels, and the Abbeys. These are the only ones in existence so get them while you can if you're interested as they're going fast! Thanks for sharing Dan. I'd seen his tweet but wasn't sure about what was included. Not sure I've got a big enough table for this, but certainly one to add to the collection for collectors / completionists! 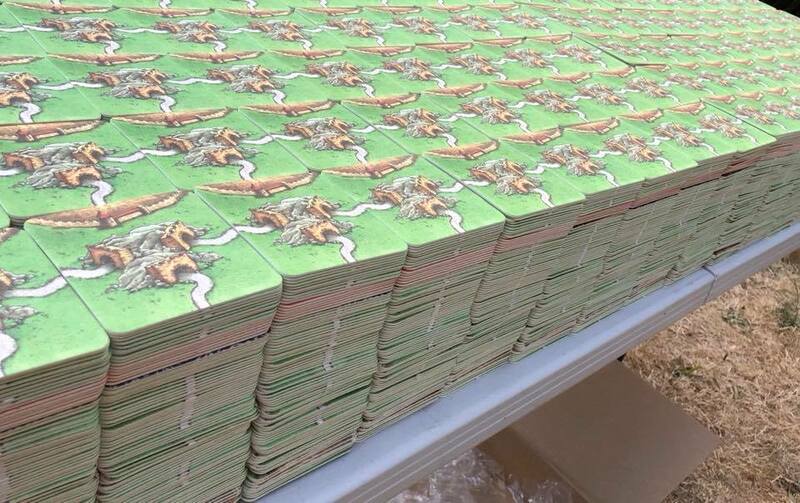 Wow, I always blamed me not being enough Carcassonne fan in 2014 to participate to the Adults of Carcassonne kickstarter campaign, now I have the last chance to get my hands on those wonderful tiles and I don't want to miss it!!! Thank you very much Dan for this post, I am going to send an email right now! Halfling, I've emailed them to. Shall we double up to possibly save on shipping? Any chance of a triple-up? All in, I will Email them too, maybe we can organize an EU shipment ? I haven't updated my profile yet! I'm interested too for a EU shipping, if anyone is available i to manage it. I hope there is one left for me. Looks like I am asking for all 100 as the EU distributor of carcshoppe. I already asked Ted how much shipping would be for one set and he stated it was $23.50 which is roughly £18.11 or €20.28. I don't know how much it goes up by when you include 2 or more sets but obviously it will be less per set when averaged across several sets. I am from EU too, (Italy) but I am not sure that this solution would be cheaper for us, shipping from UK to other European country is quite expensive. Anyway I have asked him the shipping rate to Italy for two sets, I can tell you if the EU shipment could be convenient for me after his reply. Edit; the bags are sold out, but i would still like a rubber scoreboard!